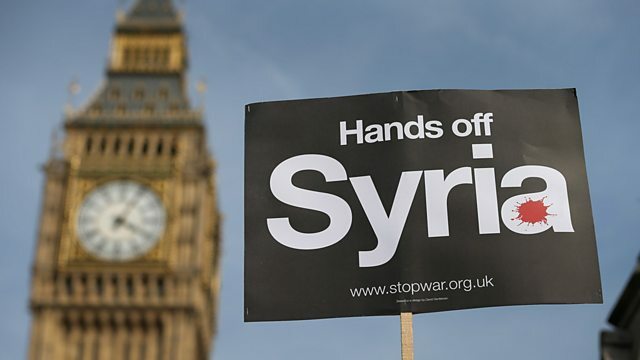 The day Parliament voted on whether Britain should join airstrikes against Syria. In August 2013 the Assad regime in Syria was accused of deploying chemical weapons against its own civilian population. The world looked on, horrified. In the United States President Obama – who had described the use of chemical weapons as a “red line” – was planning airstrikes against the Syrian government. In Britain, Prime Minister David Cameron was determined to stand with him - but first he had to win Parliament’s approval. And the clock was ticking. Shaun Ley tells the inside story of one extraordinary day in the British House of Commons and a vote which changed history. Still Waiting For Godot in Sarajevo?